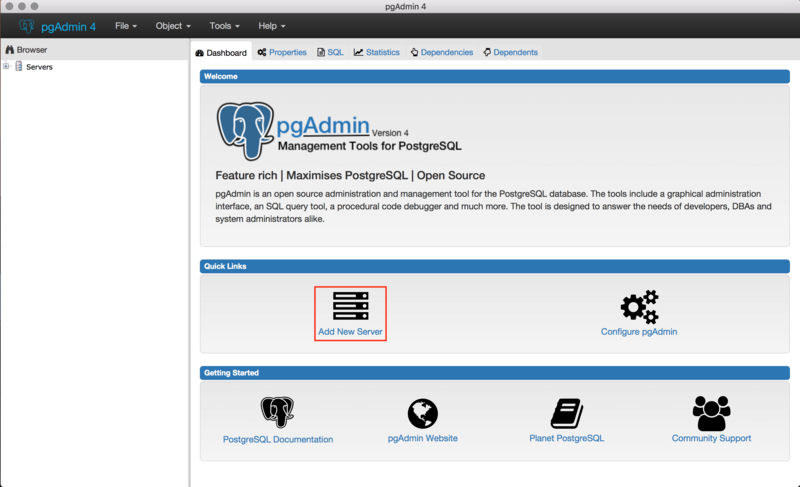 NOTE: This section assumes that you have downloaded and installed pgAdmin 4.
pgAdmin is the most popular and feature-rich platform for administration and development of PostgreSQL databases. Check the pgAdmin official page for more information. Make sure that you have your cloud server’s IP address and application credentials (instructions). Open port 5432 in the server firewall (instructions). Connect to your cloud server using PuTTY or another SSH client (instructions). Go to the “Dashboard” tab. In the “Quick Link” section, click “Add New Server” to add a new connection. Select the “Connection” tab in the “Create-Server” window. 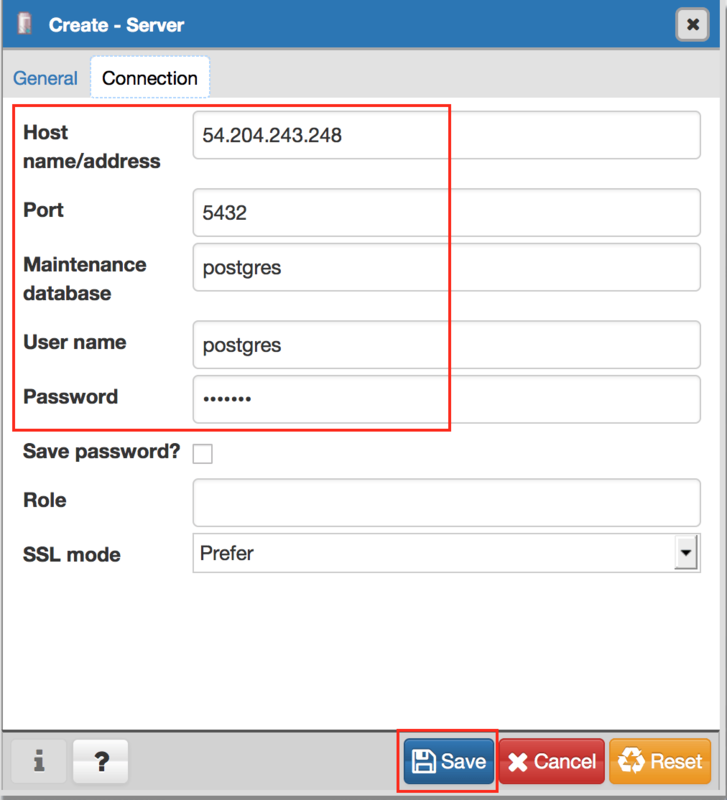 Enter your server’s IP address in the “Hostname/Address” field. Specify the “Port” as “5432”. Enter the name of the database in the “Database Maintenance” field. 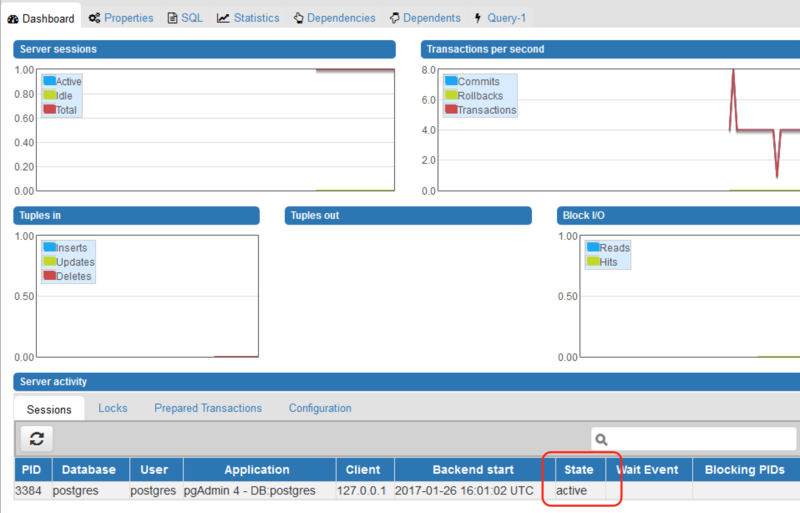 Enter your username as postgres and password (use the same password you used when previously configuring the server to accept remote connections) for the database. Click “Save” to apply the configuration.